During the first few days of my sons' lives, I was so sad, so overwhelmed, my life so upended and my anxiety level so high, I didn't want to remember it. I remember distinctly thinking, "I don't want to remember any of this at all". At the time my logic was, "why would I want to remember seeing my boys in pain, hooked up to monitors and fighting for their lives? Why would I want to remember what it feels like during what seems to be the worst days of my life?" Phone photo of Elliott on the ventilator. It wasn't until after we got home from the NICU and I made connections with other NICU parents that I realized this was a somewhat common experience, however guilty and shameful it made me feel while we were still in the hospital. Even if parents didn't necessarily feel they didn't want to remember the experiences at hand, many are so overwhelmed by the sudden changes in their lives that they don't have the presence of mind to even think of things like taking photos. What saved me from having a huge gap in my visually-documented memory were a few experienced, emotionally intelligent nurses who made sure that plenty of photos were taken, even when William's health failed, and who further encouraged us throughout Elliott's stay to document all of his little milestones, as painful as they might have been for us. Because of these incredible individuals, our family has pictures of the good and the bad, the horrific and the beautiful, and of each difficult step forward that we took together, and some of the steps backward. The NICU can be stunning in its complete takeover of what most parents once thought would be a predictable, beautiful experience: the birth of their baby. The first milestones you witness in the NICU are often those that are in their own ways tragic, if only because they are necessary. Getting off of the oscillating vent, being allowed to hold your baby, nippling, being big enough to wear clothing, transitioning from the isolette. These things are very different than what most of us imagined would be the first milestones; things like smiling, reaching for toys, rolling over, milestones that will likely be many months away for a baby who still has weeks before his/her actual due date or who is struggling with medical issues that prevent them from being able to focus on those actions. Current trauma research shows that in the healing of trauma, it is important for a person to have an integrated, autobiographical understanding of just what happened. In fact, it's common in all kinds of trauma for individuals to have a response similar to what mine was initially: to want to forget, to deliberately disengage from the experiences at hand, to "shut-down" so to speak. However, research is showing that it's just the opposite that will help us to process trauma in a meaningful way. In thinking about this, I realized that creating a coherent, autobiographical understanding of the NICU had another benefit: helping me to someday explain to Elliott what his first few weeks and months were like, the people that loved him, and to show him the images of his beautiful brother. 1. Take pictures, a lot of them. As hard as it is to see your baby hooked up to wires, bili lights, monitors, and in an isolette, some day, most or all of these things will be a remnant of the past. This post from Hand To Hold is a wonderful tutorial about artful ways to take photos in the NICU, written by a professional photographer and preemie mom. Even in a circumstance where you may be coping with loss (as we did), take as many photos as you can with your baby. As heartrending as it may be in the moment, some day the photos you take will become precious. 2. Get a lovey for your baby to do size comparison pictures each month. Some NICUs provide babies with loveys, or small stuffed animals to comfort them. Taking a picture to document your baby's growth each month will astound you due to what appears to be astronomical growth (and ultimately for micropreemies, really is!). This is an incredible way to watch your baby grow at their own pace, independently of any charts, and to see how far they've come. It's also a great practice to continue after your baby's discharge from the hospital and through the first year. This small poster from EverytinyThing has space on its balloons for each member of your baby's care team to write their name. 3. Take pictures with your baby's primary nurses, doctors and therapists. Get one of the fantastic products over at EverytinyThing so that your baby's team can write their name on your "My NICU Family" print. The people you see every day at the NICU may seem like they are unforgettable, but years later it can be difficult to remember each of your baby's caregivers and put a name to the individuals that had such a profound daily impact on your family's lives. The isolette decorations that Trish sells can also brighten up your baby's isolette and make the space less daunting. 4. Keep a journal. Journaling not only documents each of the things that happen in your day to day NICU life, but it can also serve the important purpose of making you feel better. Journals can help you express and process your emotional response to different circumstances, if simply by providing a space for you to "get it out". I'd like to emphasize that it's important for dads to write about their experience as well. Again, journals not only serve the purpose of providing a distinct memory of the experience for parents, but can also be something of value in telling the NICU story to your baby when they get older, or in sharing with friends and family about what happened. Personally, in revisiting my journal from my babies' NICU stays, I realize just how strong we actually were, and how easy it is to forget what a struggle it once was. 5. When in doubt, ask your primary nurses for suggestions. Through their experience, nurses have a good sense of the types of things a family can do to generate memories during difficult times. One thing our nurses did for us was take prints of both of our boys' feet and hands (there are some creative ways of doing this that are worth checking out as well!). They also took pictures or wrote notes each time Elliott had a milestone when we weren't there (I still have the note a nurse wrote when he completed his car seat test in the middle of the night!). Additionally, collaborate with your nurses about the things you'd like to have done in a specific way (for example, the first outfit you'd like your baby to wear and letting the nurses know you would like to be there for it). Many of the practices I took up in the NICU in order to create memories of the circumstance have ended up becoming valuable to me in life after the NICU, particularly journaling. Even though some of these practices may be difficult to fathom in a challenging moment, or may feel unnatural just due to the fact that you've never done them before, have faith that many of them will prove their worth and hold their worth long after your baby's NICU stay is over. Stay tuned~ a giveaway of EverytinyThing's "My NICU Family" print is coming to NICU Healing's Facebook page soon! Follow our Facebook page to receive updates! In a moment of crisis, the human mind (and body) manifests ways of coping that optimize our chances of survival. In fact, crisis, or trauma, oftentimes prompts our brain circuitry to circumvent the typical ways in which it operates so that we respond quickly and efficiently, leaving much of the process invisible to the conscious mind. Due to its invisibility, the brain's response to trauma leaves a lot of mystery for researchers to unravel; it can be even more difficult to navigate for an individual trying to heal from a traumatic experience. How is it then, that someone can deduce whether the trauma they've experienced has had an impact that's more than what might be considered "typical", or determine whether they might need more help? It's sometimes useful to examine "mental health" issues outside of the traditional context assigned them by the world of mainstream psychology. Instead of imagining that trauma, depression, or crisis are a part of you, or that they've somehow become a part of your personality, try to tease out the practices and effects of these notions. In conducting such an investigation, you may be able to find what does and doesn't work for you or your family, and determine whether these practices or effects have become so significant that it might be useful to integrate the help of a professional. What does the trauma have you doing? 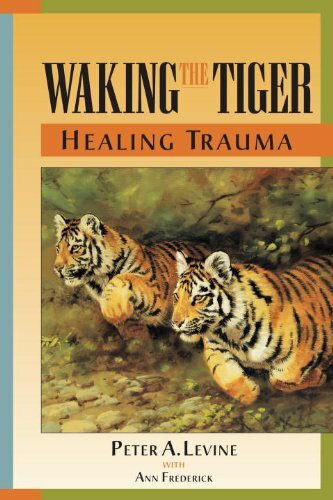 Do you have practices or beliefs specific to trauma that are active in your life? What do they look like? For example, one thing my trauma had me doing was researching, frantically, trying to figure out the various signs and signals that I thought might indicate there was something "wrong" with my son for the entire first year he was home. One sign or another would have me feeling paranoid, anxious, staying up at night, and at the same time paralyzed by fear. When our pediatrician, the specialists at our followup clinic, and various members of our family told me that there was nothing to worry about, it fell upon deaf ears. Upon examination, I realized that I had developed this practice when Elliott was still in the NICU, when it actually served a purpose: at that point, noticing discrete signs or signals that he might have difficulty with something or need more help in some arena gave me the ability to ask for guidance from the various medical professionals helping him on a daily basis. Panicking about things when he was an older baby, on the other hand, didn't serve much of a purpose except to manifest difficulty in feeling attachment with him, promote exhaustion, and create anxiety that tainted anything we did with a level of unease that didn't feel right. 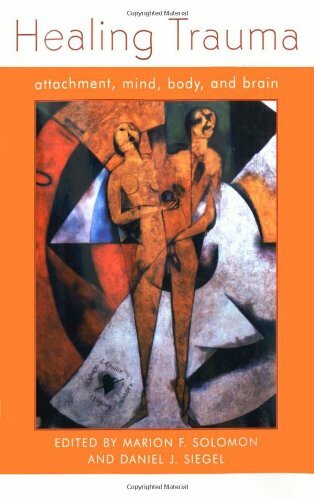 The practices of trauma are wide and varied, and can range from things like not being able to sleep at night due to perseverative thoughts or fears, drinking to escape memories of the events that occurred, unrelenting fear that a similar event will occur again, or the inability to imagine a life without these fears. Some effects of trauma are more difficult to put your finger on, as they are physiological. They can include things like cold sweats, unpredictable crying or outbursts of anger, or simply feeling "outside of yourself" when in an environment that triggers memories of the crisis. Other practices of trauma may not be quite so harmful, and are just as useful to notice. These practices can include things like noticing milestones unique to your NICU baby, letting go of the unrealistic expectations society has of parents, accepting the unpredictability of the day-to-day by practicing mindfulness, or reaching out to help others going through a similar circumstance. What promotes these practices? It can help to look at the various individuals, belief systems or values in your community that encourage the practices/effects of trauma you see active in your life, both the good and the bad. How do these individuals or institutions promote it? To go back to the personal example I gave above, I realized that I had a deeply ingrained notion of what I now like to refer to as "the milestone police" (thank you for the terminology, online NICU support community!). Based on the books that I had read, I had unconsciously developed a very strong and particular sense of what I thought child development should look like. Because I held that notion much higher than my own intuition, I fell into a feedback loop in which everything seemed like it was somehow wrong. This was compounded by the fact that for 88 days while Elliott was in the NICU, I had to become accustomed to the fact that every day, something could very well go wrong, very easily and very quickly. In order to survive the circumstance, I had to get used to expecting the unexpected. Learning to let go of those shoulds and those fears, regardless of Elliott's outcome, gave me the ability to at least be present in the moment with him, and to focus on the things that I could do that were useful as opposed to exhausting (keep in mind, this is not to say that if you have a sense that something is awry with your baby that you should not reach out to your pediatrician or a specialist-- this example is an example, and not meant to be thought of as a replacement for medical or psychological advice). 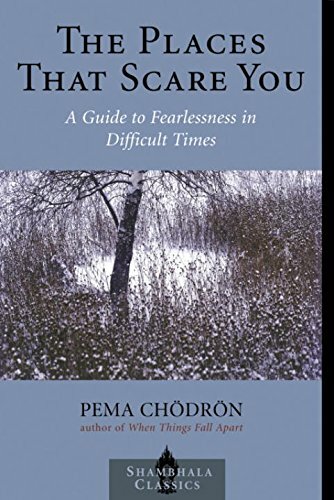 Other examples of cultural constructs that promote the effects of trauma could be things like the isolation of going through a circumstance that no one in your community has ever spoken of or, potentially, experienced, which then can make your fears feel all the more horrifying to face. It can be "Dr. Google", or the practice of googling things and finding terrifying information that can send you into a tailspin of anxiety. It can be your family's support in your creation of a NICU journal or their curiosity about hearing your story, that encourages your ability to speak up about what you've been through and integrate it into your family's biography. If you carefully examine the practices in which you participate, you will oftentimes find that people or belief systems play a role in their existence. It helps to know what those are, and to cultivate the positive influences, and minimize, or at least acknowledge, the negative to the best of your ability. Are these practices of trauma ok with you? Take a look at the various practices/effects that you've found operating in your life and do a brief analysis. Are these things working for you? Are they working for your family? Your partnership? As I mentioned above, sometimes the practices of trauma serve an important purpose at one point in your life (e.g. the NICU), but later, take away from your experience of things or prevent you from enjoying life in the way you want. Do you feel empowered to change these practices on your own, or could you use the assistance of another person in moving forward? It can sometimes be very difficult to articulate the practices and effects of trauma, in which case it can help to have assistance in identifying what's happening and figuring out how to go on. Sometimes, the practices, effects or beliefs that you've developed can be so vast or overshadowing that it feels impossible to change them on your own, in which case, it may be useful to find an ally. On the other hand, sometimes a deep examination of the circumstances can empower you to find a path that works for you and your family on your own. Either way, making a space to examine the effects and practices that a crisis may have inspired in your life is a powerful start in moving towards healing.